Your property is unique, but does it stand out after nightfall as well? 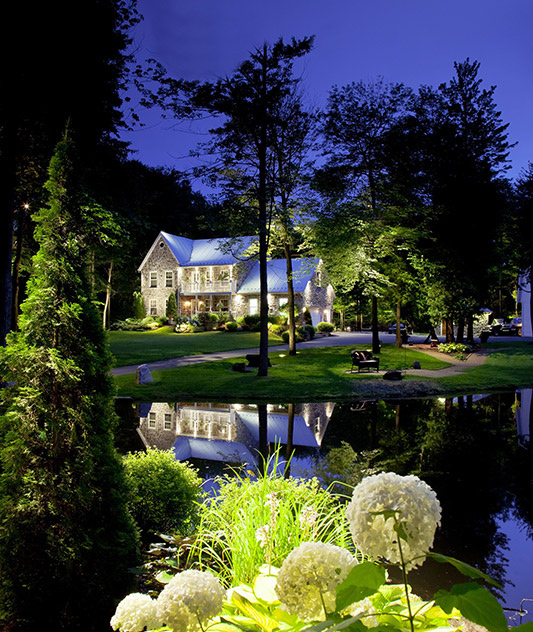 Architectural lighting will give your home the curb appeal it deserves. Enhance it with the help of purpose built LED lights for a lighting atmosphere that is sure to capture the right attention! Your elegantly lit nocturnal decors from Splendeurs de Nuit will distinguish themselves by the softness, sobriety and refinement of their light effects! Not only will your property be more remarkable with its stunning facade lighting, it will be also more secure! The brightness from the outdoor lighting on your house or on your landscaping, discourages malicious people because they will not want to risk being seen, thanks to your lighting.